Livescribe is a paper-based computing company that sells digital pens and paper. 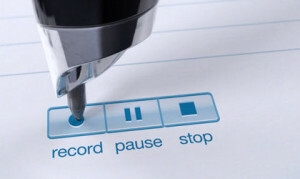 Its products make it easy to record and share information unlike ever before. With Big Apple Buddy’s personal shopping service, you can now buy direct from the USA Livescribe Online Store anytime, anywhere. Livescribe’s 3 Smartpen will change the way you record information. It works and writes like a normal ballpoint pen but its Blutooth feature sends everything you write to your smartphone or tablet. Never struggle to find old notes with the Livescribe Dot Paper, which tells the smartpen what you’ve written down. 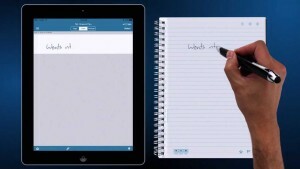 Access and organize your notes on the Livescribe App. Like to keep it old school? The Livescribe Notebook by Moleskine is elegantly designed with center-stitched binding, rounded corners, and ivory-colored pages for the hidden writer in you. It brings notebooks into a digital age with its Livescribe 3 controls to access the smartpen anytime. 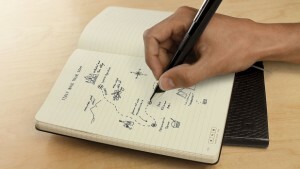 Like with most US products, Livescribe items are released in America before anywhere else in the world. The US store also has the greatest product range available. Unfortunately, the USA Livescribe Online Store does not currently offer international shipping. Big Apple Buddy, your personal shopper, can however help you buy from the USA Livescribe Online Store and ship them to your doorstep, regardless of where you live. We offer international shipping to over 220 countries including Australia, South Africa, Germany, Thailand, Italy, UK, Spain, the Netherlands, Switzerland, Malta, Brunei, Indonesia, Norway, Malaysia, Philippines, Switzerland, Hong Kong, Taiwan, Macau, Croatia, Estonia, Kuwait, South Korea. If you would like to buy from the USA Livescribe Online Store, simply contact us for a free shipping quote and we'll get back to you within 24 hours!